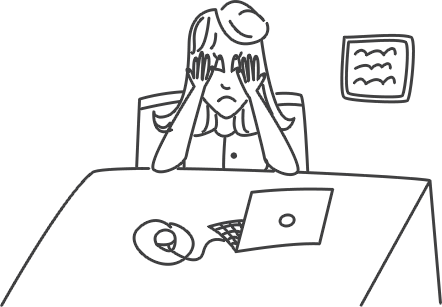 Combine Artificial Intelligence (AI), machine learning, big data, data scraping, data science and diverse range marketing strategies and workshops – and you’ve got one powerful Robotic Marketer. competitors and market. Artificial intelligence provides more actionable insights into how to optimize your marketing efforts. 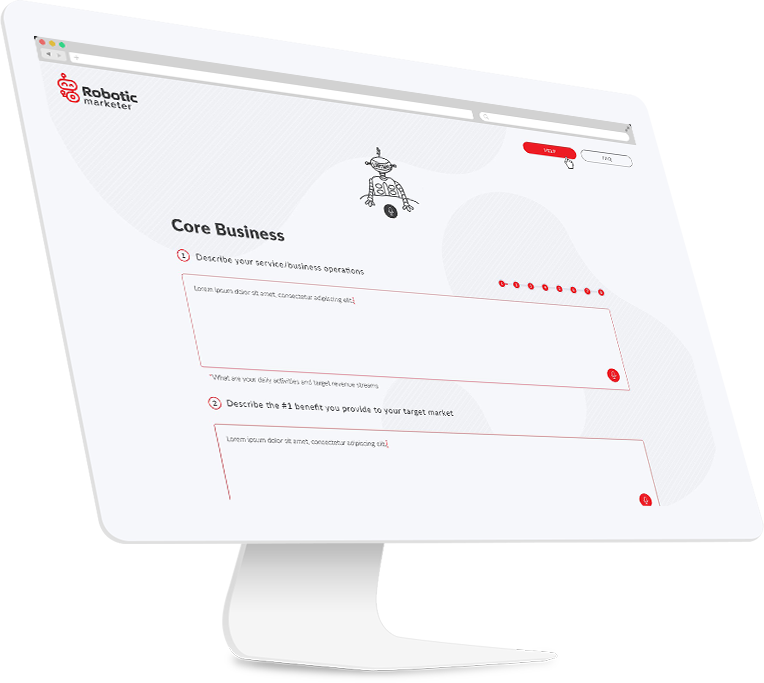 Basically, if you use Robotic Marketer you will receive the best robot-possible marketing strategy with the added benefits of a marketing consultant. Robotic Marketer does dig deeper, behind the algorithms of Google, for a more in-depth analysis and results-based marketing. With so much data on the internet on your customers, competitors, influencers and industry, it is imperative that the robot digs deep and finds relevant information on what works and what does not in the marketing mix for your company. AI is the basis in which the robot is able to communicate, gather information, turn data into real strategic marketing outcomes, decipher where a marketing budget is best spent, search keywords and their relevancy to your marketing strategy, and provide the final, powerful, results-driven marketing strategy to you in minutes. AI will also be a big part of the marketing workshop, answering any questions you may have. From adapting various marketing strategies and workshops, this robot has knowledge. Machine learning is imperative to the robot gaining enough knowledge to build upon and use other applications like AI, big data and scraping to formulate the ultimate, powerful marketing strategy. The comprehensive marketing workshop comes complete with a robot-driven facilitation, including AI based Q & A, delivered to text. Bring your entire team in no matter where they are located, or do this in your own time, in stages that fit your schedule. This comprehensive 40 page plus marketing strategy is the ultimate blueprint for your company to be successful. From addressing company and marketing objectives through to delivering on marketing goals with tactical marketing activation and recommendations, this marketing strategy will be the best you have ever seen. You will know your competitors better than ever before and be able to ensure that your brand stands out from the crowded market place. There has never been a better time to get your business to the next level. While many companies still spend weeks or months putting together their yearly marketing strategies, you can do this in a matter of minutes. Not only will you have the blueprint to promote your brand in the market, you will have all the key recommendations on what marketing activities your company needs to do to achieve your desired results. Get in early by taking advantage of Robotic Marketer’s special offer which includes an online workshop and 30 to 40 page marketing strategy for just $1,950. Be one of the first to receive a robot-driven marketing strategy more in-depth than ever before. Our guarantee is the fact that this business is backed by Marketing Eye, a company founded in 2004, and is globally known as being in the Top 100 Marketers to Follow and Top 100 Influencers in Entrepreneurship. Marketing Eye guarantees you a powerful results driven marketing strategy. Normally a one-off marketing strategy would cost $25k. 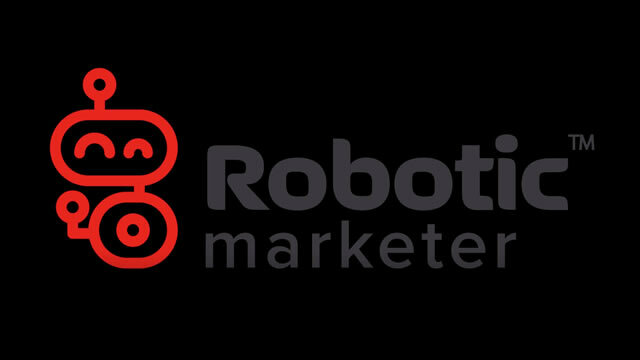 Your investment in the first stage of Robotic Marketer through buying a bespoke marketing strategy is just $1,950.